SARAH LAWSON has always had "a love for houses and design," as well as an appreciation for the technical side of building. When her own home was being renovated, she fancied herself the general contractor (which, she adds, is hysterical in retrospect). It was enough, however, to propel her into the world of construction, and "she never looked back." Lawson had her own construction company before joining S+H Construction, which she later bought from founders Doug Hanna and Alex Silve. At S+H, Lawson was able to take her abilities to a higher level faster. "They're doing incredibly sophisticated, beautiful things." ELENI KAPLAN, a third generation builder, learned firsthand the value of attention to detail and treating clients like family. After graduating from college in 2013 she worked for her father's company, Sanford Custom Builders. In 2016 she launched her own business, E.K. Sanford Builders. Kaplan reasoned that since both her father and grandfather had their own construction companies, now it was her turn. One to watch, Kaplan just sold her first spec house and was recently hired to build a custom home in Sudbury, MA. KATE DURRANE is a "born-and-raised Boston girl" who knows the city like the back of her hand. She also knows carpentry and has worked for her father, founder Arthur Massaro of Columbia Contracting Corp., in some capacity since 2000. Today, Durrane is Director of Operations of their "true family business" that specializes in large-scale renovations and new custom homes. But she wasn't just handed the position; Durrane has done framing, trim and siding, and has a certificate from Wentworth Institute. She loves every phase of the construction process and "seeing a hole in the ground become a finished product." ALLISON IANTOSCA joined F.H. Perry Builder almost 20 years ago when her father, Finley Perry, invited her into the company. Immediately, Iantosca developed relationships with architects and designers, and brought the added service of accompanying clients to showrooms. In this role, she developed both contacts and a context and today she's president and owner of the company. Her father always "pushed my strengths and interests," says Iantosca, a legacy she continues with her team. She firmly believes that success, as well as a beautiful end product, arrives when people are growing, connected and performing at their optimal level. RENÉE WEST was the first woman that Kistler & Knapp Builders ever hired and today, alongside Douglas Stevenson, she's running the show. With a background in insurance, West initially came for a one-year stint to help the company through a growth spurt. Twenty-five years later, she's a principal, and the "glue" of her staff. She calls her employees "my guys" and knows that, as the faces on the jobsite, if they're happy, clients are happy. She believes Kistler & Knapp is known for its collaborative mindset and team mentality. CARA MENESES, partner of ARCHWRIGHT | Fine Home Builders, bought her first home at age 25 and renovated 80 percent of it. 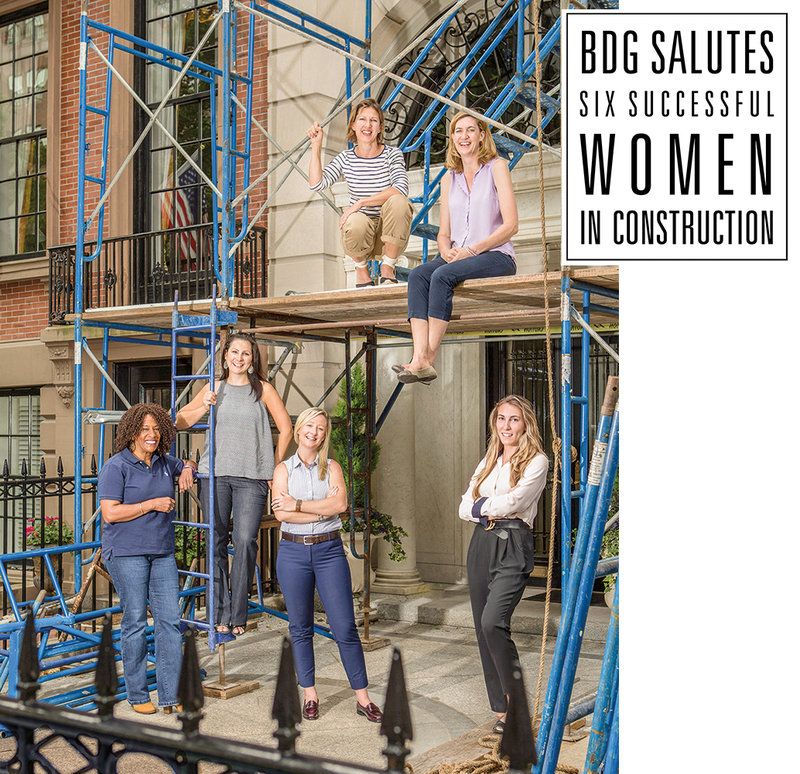 The daughter of a Cape Cod builder hails from a family of entrepreneurs, so it's not surprising that, after working for years as lead project manager on Cape Cod's finest new coastal constructions, she'd strike out on her own. Blessed with an analytical and aesthetic mind, Meneses prizes the build process and client-builder relationships, as well as the end result. She and co-owner Brian Lafauce are passionate about building custom homes that will "better people's lives." See Breaking Ground in BDG 21, pages 60-61 - View the Digital Edition.